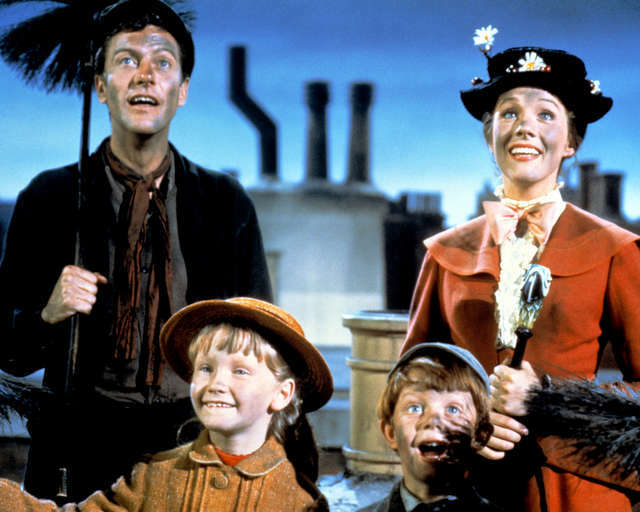 Why Is Julie Andrews in 'Aquaman' But Not 'Mary Poppins Returns'? The great Julie Andrews makes a cameo in a movie out this weekend. This movie is not Mary Poppins Returns. It is Aquaman. 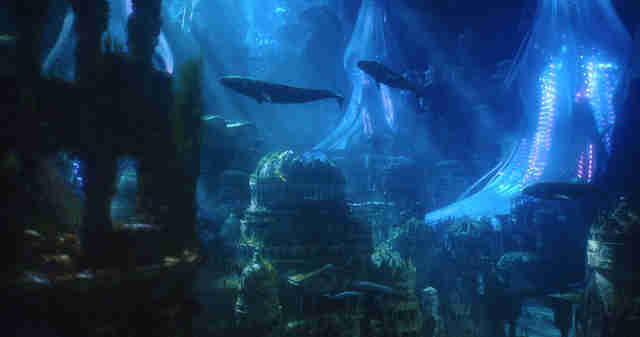 In one of the stranger twists of the holiday movie season, the British actress does not appear in the sequel to the 1964 Disney movie that won her an Oscar, but rather in the DC Extended Universe property with the transcendent posters, voicing the Karathen, a beast of the deep. Andrews -- probably best known for tending to children as both Mary Poppins and The Sound of Music's Maria Von Trapp -- goes dark in Aquaman. She's a threatening creature that guards a lost, prized trident that Arthur Curry, a.k.a. Aquaman is seeking. She is sassy and unimpressed -- that is, until Curry pulls the thing from its holding place, at which point she defers. Also, she is a large, tentacled monster. Director James Wan explained to Thrillist in a recent interview that he was designing the Karathen to be basically his version of the Kraken, when suddenly it dawned on him: This should be a woman. "I wanted the most powerful creature on earth to be a woman," he said. "And then I was thinking I want her to be British, for some reason. This thing that's ancient and that's been around for eons of time. Just really powerful, but yet has a very sort of classical presence to her. So I started thinking about all the 'dames.' You have your Dame Helen Mirren, Dame Judi Dench, and then Dame Julie Andrews." Ultimately, it was Andrews' grandson who sold her on the idea of coming aboard, Wan said. Apparently he was a fan of Wan, who has directed the likes of Saw and The Conjuring. "I have the grandson to thank for that," he says. To play the balloon lady would have also required Andrews to sing, which she hasn't done much of since a surgery in 1997 to treat non-cancerous nodules on her throat, which ended up permanently damaging her gorgeous voice. Still, there's something almost perversely entertaining about the fact that Andrews is not inhabiting the sweet, kooky old lady part, but rather the growling hell beast of the sea. Her career is full of unexpected turns -- watch, for instance, the movie she made with her late husband Blake Edwards, S.O.B. -- and this is just another one of them.